Nevada Coyotes FC were a Wild West Division finalist last season. Vacaville Elite is look to do big things in its second season. Watch the game at 4:00 PM PT. Disciples FC currently sits atop the UPSL Championship Western Conference SoCal South Division. OC Real Force SC wants to get back into the UPSL Pro Premier following relegation last season. Watch the game at 8:00 PM PT. Newhall Premier is a contender for promotion in the UPSL Championship Western Conference SoCal North Division. Alta California Sol is looking to stay unbeaten in its debut UPSL season. Watch the game at 7:00 PM PT. Kern County Mustangs FC was a playoff team last season. Futbol Club Santa Clarita has one win and one loss so far this Spring. LA Wolves FC is coming off a big 4-0 victory last week. 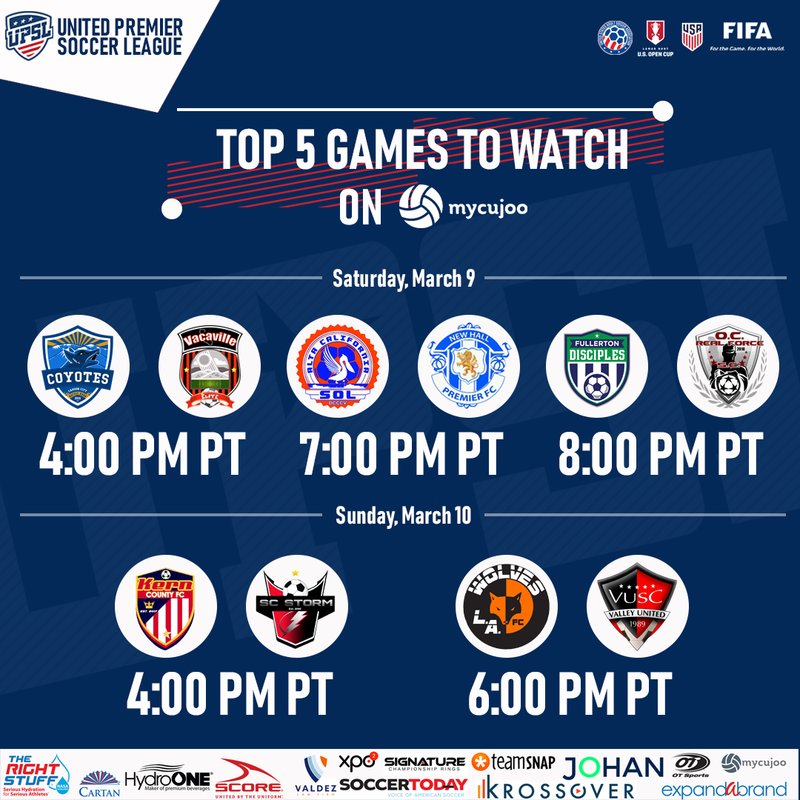 Valley United SC is looking for its first win of 2019. Watch the game at 6:00 PM PT.